Home / Games / Sword Art Online: Integral Factor: The newest Sword Art Online game! It is said that Sword Art Online has a very interesting plot so that Bandai has transformed into a series of games S.A.O, one of the online game series extremely crowded players. Of course, playing Sword Art Online does not get stuck like in the movie (LOL). Today I will introduce to you the latest game that Bandai introduced at the 2017 Tokyo Game Show called Sword Art Online: Integral Factor, a version of S.A.O game series. This is a support MMORPG for the mobile platform. 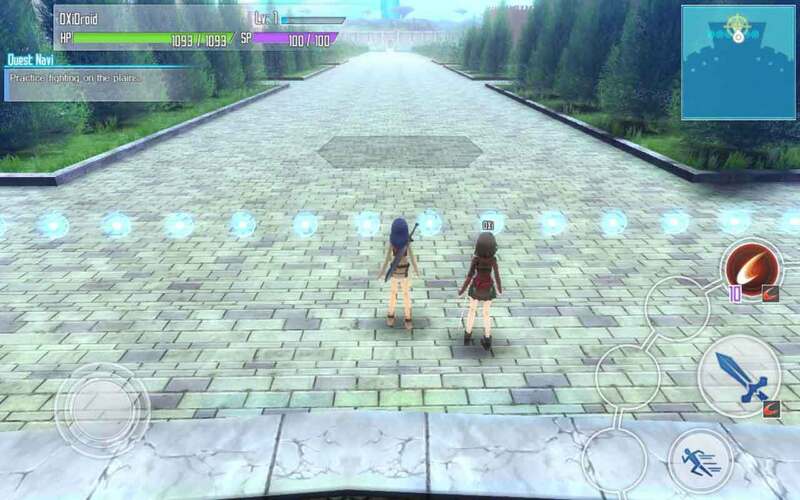 Sword Art Online: Integral Factor takes the original scene from the movie, and the player transforms into one of the 10,000 trapped players in SAO World. If you want to get rid of this virtual world, you have to destroy all the monsters in the game, at 100 floors of Aincrad. Of course, you will … not be the protagonist, just an unknown gamer and get the main characters like Kirito and Asuna, or Yuna lead through the game. Your character can choose between two sexes, male and female, and you can customize the look of your character from hair color, eye color, body shape. In order to be able to defeat the monsters in this game, you first need to develop your character through the quest system continuously and throughout the game. Characters have many indexes, the higher the level, the stronger the indexes, and you can unlock new skills for your character. Character skills will appear on the right side of the screen for you to choose from when fighting. Usually, each weapon will have a different and distinct skill set. Players can bring a variety of weapons and switch flexibility in each battle. Combined with the move system on the left side of the screen, combining a set of skills with a certain rule will create effects that will make you win more easily. The equipment system is an important part of the game. They have an impact on the index of a character, which is very important to the character’s strength. 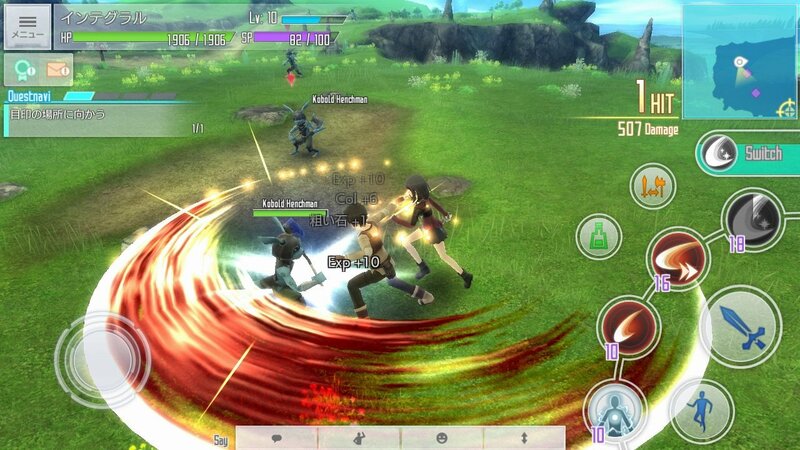 By exploring the world of Sword Art Online: Integral Factor, you will battle with all enemies and may have the chance to gather the most powerful equipment. 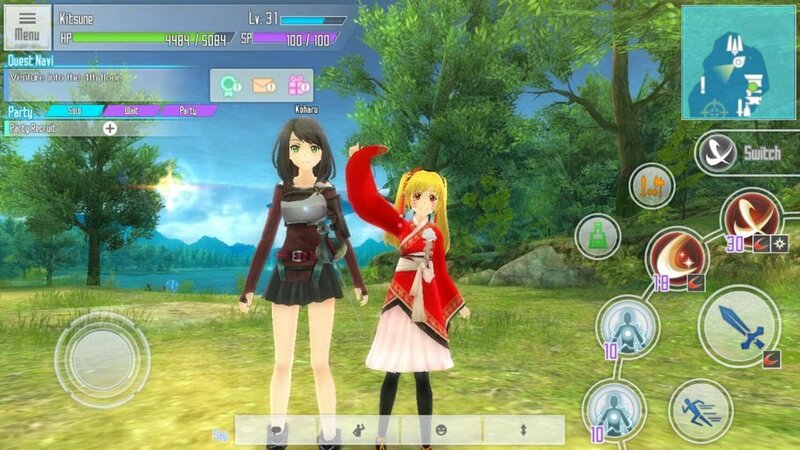 Sword Art Online: Integral Factor is designed in a cute Anime style on an advanced 3D graphics platform. Characters, monsters, and bosses in the game are good, detailed. The surrounding buildings, paths, trees and scenery majestic, magnificent and quite real. Upon launching, the character’s skills will produce spectacularly graphic effects. Especially in the third view, the game allows the camera to rotate to give players an open view unlimited. Meanwhile, the dialogues of characters will be shown in 2D, highlighting the content to emphasize the content of the story. It also makes the game more like a story. The soundtrack of the game is quite familiar to those who are fans of the animated film of the same name. Accompanied by sound effects when players fight and toss skills. Sword Art Online: Integral Factor MOD APK is ready to download! Depending on your needs, you can download Sword Art Online: Integral Factor MOD APK or Sword Art Online: Integral Factor Original APK. Or install from Google Play / App Store if you want. Will this still work after the maintenance today (july 31, 2018)? I will need an updated version of this. I hope it will include drops when it gets updated because the boss drops are just really terrible! I had to grind (while on this) for more than 3 hours just to get 30 kobold king fangs. Can you imagine how bad the drop rate is? This helped a lot. Thank you very much for this.